Through local happy hours and events, liberty advocates across the country are connected with others in their community, leaders in the movement, free market organizations, information, and opportunities for involvement; helping libertarian activists increase their understanding, build their network, and promote liberty more effectively. Possibly dropping by this month is Jordan Page, just to hang out on his way through to play in Birmingham and Mississippi. LOTR – Houston meets every other Thursday at Hefley’s. Check the facebook page for more frequent updates. 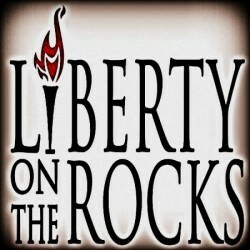 The Nashville chapter of Liberty on the Rocks (LOTR) meets at 6PM on the 3rd Thursday each month at Mafiaoza’s Pizzaria. Occasionally dates may change to accommodate a special guests schedule. Email [email protected] if you are interested in meeting with us. So, I joined my local Liberty on the Rocks on a whim, and suddenly found myself on the board, too. (The board being the rotating cast of people who show up for what we call the “Business Meetup.”) What have others’ LOTR experiences been like? Glad to hear that you are helping out. In Nashville we try to keep the group an open discussion group and entertain speakers from any viewpoint. We should probably do more but getting helpers is not easy.